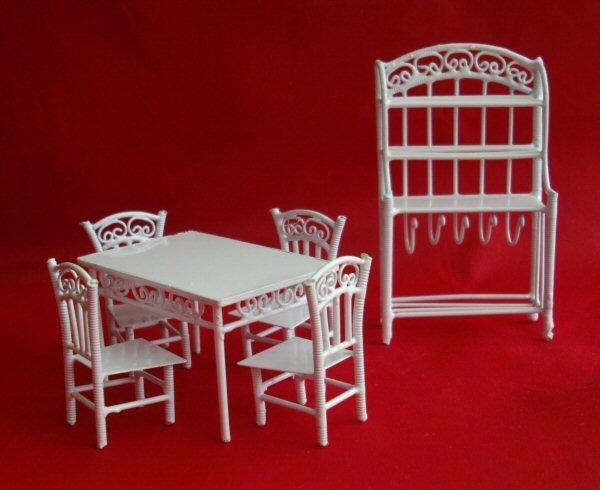 1/24th scale painted metal dolls house miniature dining room set. 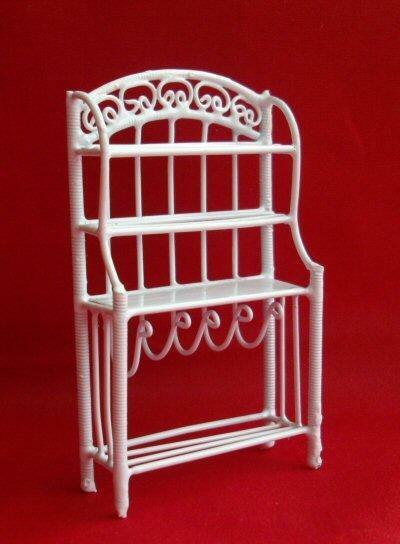 Consists of table, 4 chairs and shelf unit. 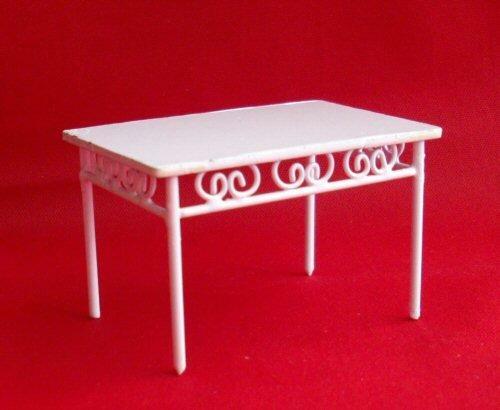 Table measures 49mm wide x 34mm deep x 32mm high. 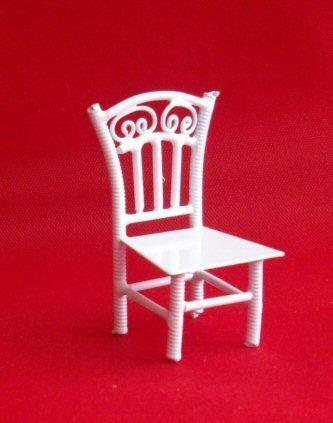 Chairs are 20mm wide x 20mm deep x 37mm high. 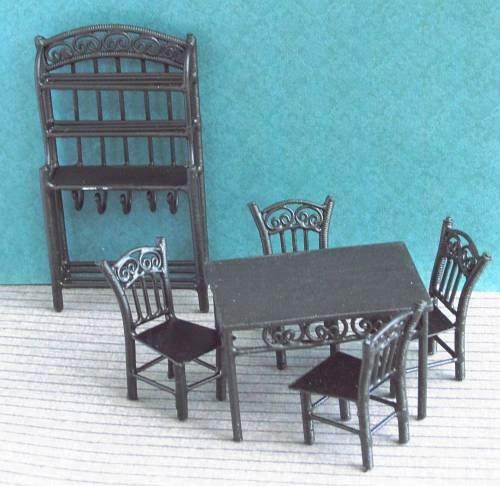 Black set also available, see below in related items.